For newcomers to the fishkeeping hobby there are many mistakes that can be made during the process of researching and actually setting up your fish tank. This article will describe the most common mistakes and how to avoid them. It covers every part of the process of setting up an aquarium to hopefully make life a lot easier for novice fish keepers. Avoiding the mistakes from day one is far easier than trying to rectify them at a later date! When you do your initial research before you have purchased your first fish tank look where the fish tank is to be sited. Be sure to maximise the area so you can accommodate the tank but still leave space to perform tank maintenance. Locating the tank and then finding out that you cannot reach areas to perform duties such as cleaning the glass or cleaning the filter can be a real pain. You should never make the mistake of buying a tank that’s too small. Lower water volume will not only restrict the species of fish that you can keep due to their adult size and needs but less water will also mean an unstable tank initially with larger swings in water parameters. Larger tanks with larger water volumes are more stable. If you are planning to keep a built in tank that fits into a wall space make sure that you allow for maintenance above the tank by means of a hinged lid! There are many experienced fish keepers around that can offer you advice on keeping the fish that you want and will not mind you asking questions. You can also ask for advice at pet stores, but beware though as with many other subjects there are rogue traders that just wish to make money and will sell you fish even though they are not suitable for the fish tank that you have purchased. Find a reputable supplier that is always willing to help. 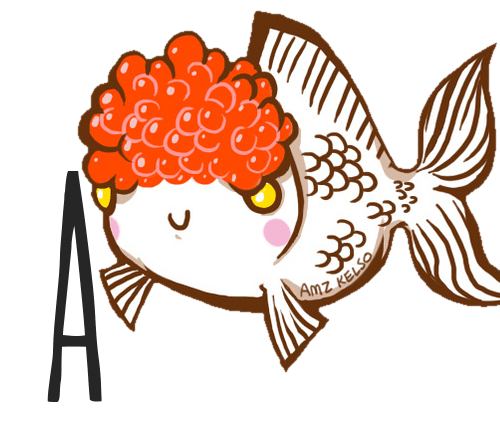 It is understandable that when you have filled your fish tank that you wish to add fish as soon as possible. This can be a costly mistake as the filters in the fish tank need to be able to deal with the fish waste that is produced: high ammonia levels and nitrate levels will lead to early deaths. It is far better to allow your filter to cycle properly. Some keepers prefer to cycle the tanks without fish by means of allowing flake food to decay or with bottled bacteria, but regular unscented and surfactant-free household ammonia also works well as a cycle starter. More information about cycling an aquarium can be found here. Fish stores often sell juvenile species of fish that are only minimal in size compared to the adult fish of the same species. Adding fish that will outgrow your fish tank will cause stress, ammonia spikes and unhappy fish that feel cramped not being allowed the space to swim around freely. 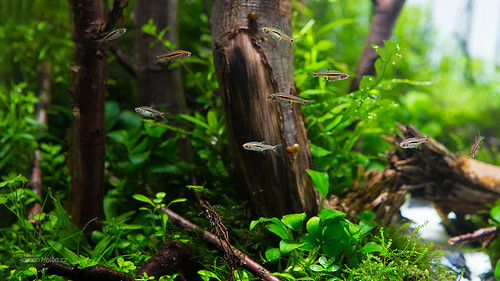 Small tanks (2 feet/61 cm in length, for example) are ideal for a low stocked community set up where the fish grow no larger than 2 inches (5 cm) in length. Some species of fish, such as the larger cichlid species, can grow a lot larger than this although they may only be 2 inches in length as juveniles. Always research the fish species before you purchase them! There are many websites that contain profiles on the fish and will display their adult size with the recommended tank size that they should be housed in. The article about the best beginner fish is a good place to start your research. Yet again this subject can be overcome by performing the correct research before purchasing your fish. Many sites will provide compatibility charts which will show you which species of fish will live happily together and prefer the same water values. Never impulse buy when you see a fish in the store, make sure it is suitable for your aquarium and the fish that you already possess. All aquarium filters have a rating for the amount of water that can run through them on an hourly basis. The correct filter for your fish tank should be capable of running the water volume in your fish tank at least around three times on an hourly basis to keep the water parameters stable and safe. Trying to cut corners by using a filter smaller than advised to save money will lead to major problems in the future as it will not be able to cope with the toxins in the water that are produced by the fish and rotting matter such as decaying plants. Always try to buy the best filter and check the rating to make sure that it is suitable for the water volume of your fish tank! A canister filter (review here) is one of the best options for most setups. Fish tanks can become messy. The water can become overloaded and stale over time and the ornaments and tank glass will become dirty in time if a cleaning schedule is not adhered to. Make a note of when certain tasks need to be performed: some tasks need to be performed on a weekly basis, others may only need performing once a month or even longer. The main cleaning tasks involve water changes, vacuuming the substrate and cleaning the filter. Water changes should be performed at least once a week with a minimum of a 20% change of the total water volume. Weekly water changes are much preferred to larger water changes of say once a month as this keeps your water more stable and keeps the fish happier. To determine how much water you should change and how often you should clean your filter, keep a close eye on your water values with a liquid test kit. Substrate cleaning can be done while doing a water change. Investing in a quality aquarium vacuum like the Python will make it much easier to remove debris that has collected on top of the substrate. Once a tank is cycled many keepers think the water is fine and there will be no future problems. You cannot see swings in the water parameters with the naked eye, so it is best to invest in a testing kit to be able to monitor what is going on inside the aquarium and prevent problems before they become a major issue. A liquid test kit is preferable. As long as these testing kits are in date they are very accurate if used properly and will allow you to keep a close check on the nitrate, ammonia, pH and nitrite levels in the aquarium. They are far more accurate than the testing strips (pictured to the right), which only offer a broad range to compare from. Testing does not have to be performed on a daily basis unless you are in the cycling stage, after this once a week should be enough. This may not be an obvious choice when you first set up your aquarium but it is a common mistake for new fish keepers. Many times you may have a plan in mind when you have an idea of how your tank should look when fully set up but quite often we may change our minds at a later date and start moving things, replacing decor etc. One of the biggest mistakes is to start off with artificial plants and then decide we require real plants for better effect. Replacing your plants can be a real hassle and stressful for the fish, so it’s better to go for live plants right away. More information about aquarium plants can be found in the plants category! When first setting up your fish tank you will probably experience more problems than when the tank has been running for a while. New set ups will experience larger swings in the water parameters especially during the cycle, Once the tank is cycled you will be adding fish that need to settle in and feel secure. Taking your time and dealing with problems will pay and be more effective rather than listening to the first offered without checking out other sources of information. As mentioned above testing the water should give you a head start in dealing with issues before they become a major problem. Once some experience is gained the initial problems will not seem so bad and you will learn how to deal with them more effectively. Hopefully this article will help when you are first planning your fish tank, planning carefully and only buying your fish tank when you are completely ready will help you enjoy the hobby more and provide you with many hours of pleasure! If you stil have questions about common beginner mistakes or want to share a tip, don’t hesitate to leave a comment below. Hey! Sorry to hear you’re having trouble. Have you checked your water values with a liquid test kit? It seems like you might be having more than just an algae issue if you’re losing fish. Algae don’t kill fish, so I’m thinking there might be something going on with your water quality. I truly enjoy your informative site. This article mentions “household ammonia.” Perhaps you need to add “with NO surfactants or scents” as most of what we buy in the drug store or grocery store includes one or both of these things. What a wonderful article to read, it had great points and it was really informative! Owning fish is great responibility and articles like these would really help beginners out and maybe even teach some long time fish owners a few new things! Great work. That was all great information. I hold the LFS responsible for many mistakes of beginners, especially (in my case,) for selling juvenile fish that will become too large, again in my case a common pleco. I have a whole list of questions a responsible fish retailer might inquire upon that never seem to. As far as plants go I agree, but with a stock tank and lights it can be frustrating experience to go from plastic to real, and to begin with real plants requires equipment often not available, or easily so, on the beginner’s budget. This article was wonderful and raises good questions about the responsibilities of the both the byer and seller. Thanks for your comment! Ugh, a common pleco is about the worst fish to end up with as a beginner. I definitely agree, fish stores often just hire employees that know nothing about fish and will sell anything to a customer as long as they ask for it, as well as carry products that practically scream animal abuse (betta “aquaponics” system, goldfish bowls etc.). I really try to avoid them and order plants and equipment online and find my stock at fish events or responsible breeders/importers. As for plants, I agree it can be difficult especially if you don’t have a normal aquarium, but for the easiest plants you don’t really need any equipment and they should work for almost(!) anyone (Java fern etc.). However, again, beginners often get bad advice and think plants are super difficult, which I think is why Jan included it in the article. It’s just a nudge for them to at least look into it.